Photography is now “a long-awaited career” for Dawson, following service as an officer in the United States Navy and 28 years in California state government, from which e retired in 1995. David has been taking photographs for about 45 years, but began serious study of the medium through workshops and personal study in 1989. The subject matter for David Dawson’s camera most often consists of old, fragile, and unusual historic structures in northern California. He typically seeks out, studies, and documents buildings and other constructed works, about which little is generally known. Working exclusively with a large format camera, using black and white film, David attempts to document clearly his subject matter in a way that is historically useful, but esthetically pleasing as well. 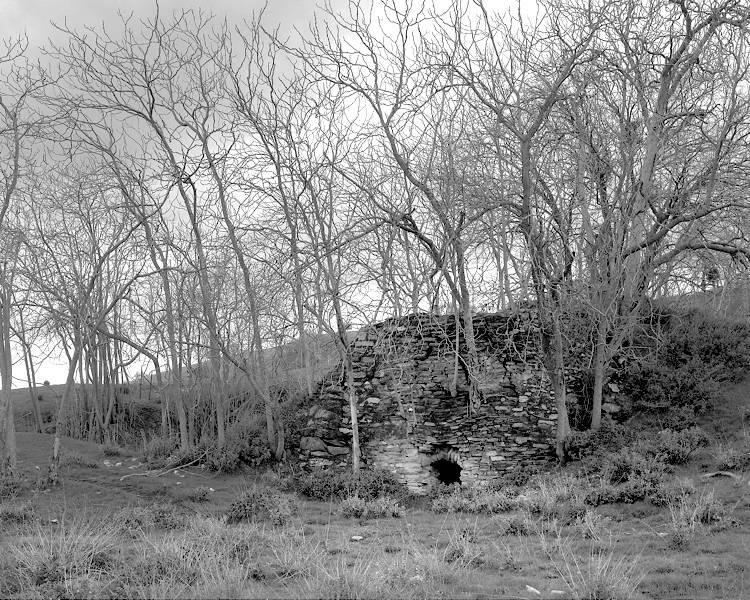 Photographs of lime kilns of Northern and Central California, documenting a critical 19th century industry producing lime for the construction of cities in the area. The collection includes text by Dawson on the history, significance and environmental impact of the region's lime kiln industry.